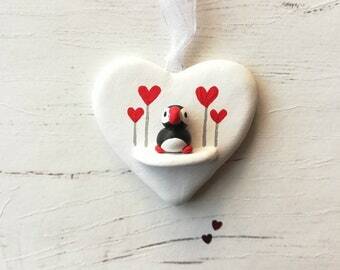 Miniature hand crafted ceramic love heart penguin ornament. 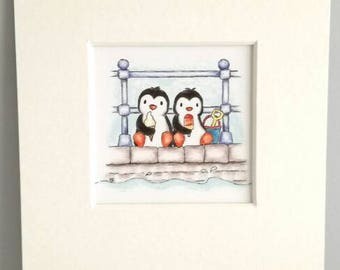 The little penguins are sat on pottery background painted in white, with small grey polka dots. 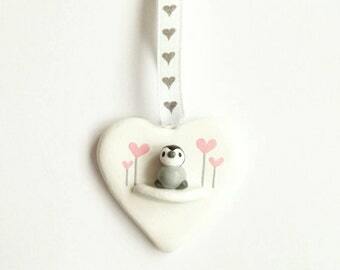 They are very small penguins, and the decoration measures approximately 4.5cm across at the widest part of the heart. 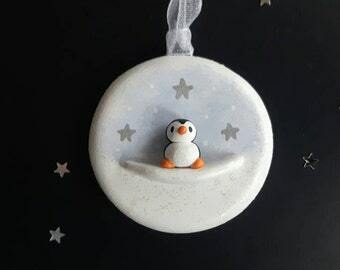 It is strung with white ribbon. 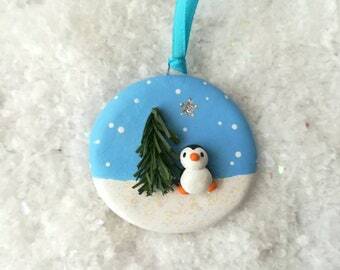 It is made from kiln fired earthenware ceramics and then decorated with a mix of glaze and acrylic. 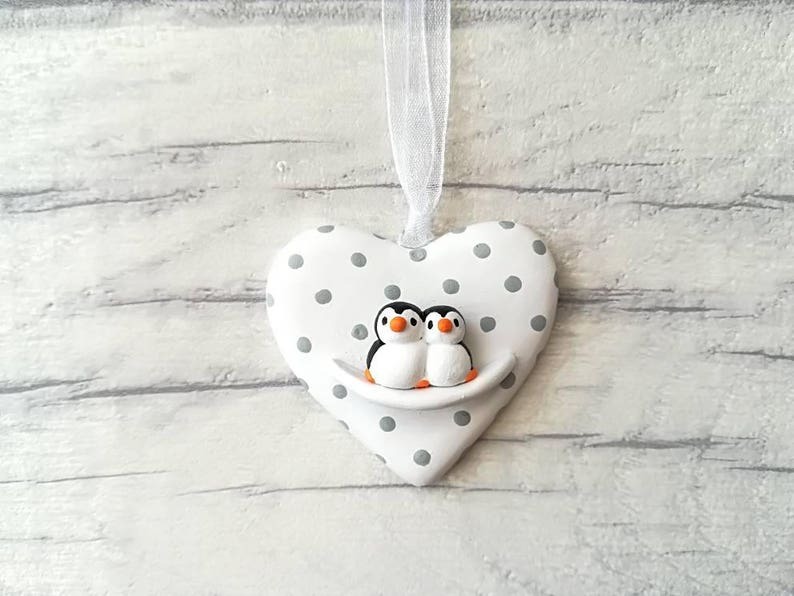 I have worked with ceramics for many years and have focused on detailed Atop of the tier cake toppers for a long while now, it's great to be able to bring some of my designs to Etsy now. Please note this is ornamental and not a toy, any questions just ask. 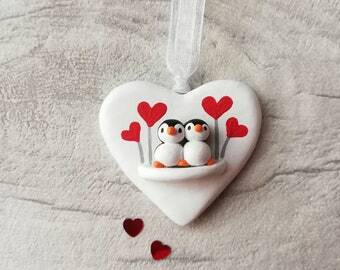 Miniature penguins, on ice. 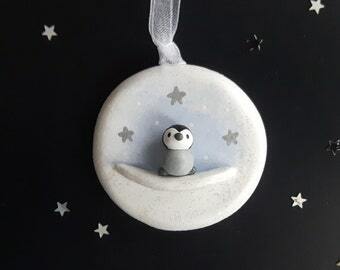 Pottery penguin ice cube ornament. 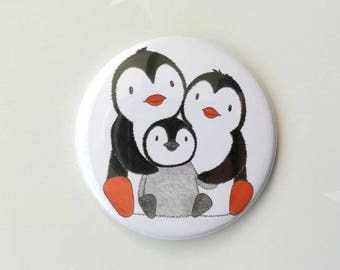 Cute mini penguins, chicks, seal and snowman. 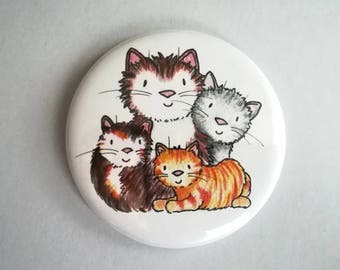 Une nouvelle fois ravie de mes achats.